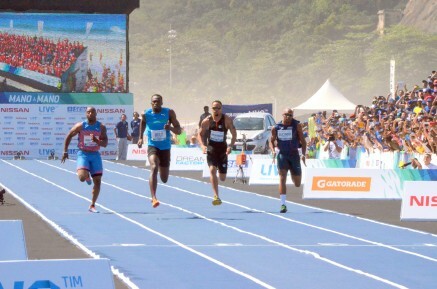 17th August – For the second year in a row Olympic Champion Usain Bolt (JAM) won the Mano a Mano race in Rio. Fellow PACE athlete Mark Lewis-Francis took second. In the womens race Commonwealth Games relay gold medalist Schillonie Calvert (JAM) also took second place.